Browse our range of timers at UK Electrical Supplies. Our selection includes a 7 day digital control timer, 24 hour immersion timer and plug-in time controller. 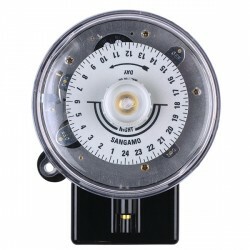 The large majority of our timers are from Timeguard and Sangamo, leading manufacturer's within the industry. If you require further information on any of the 7 day digital control timers or 24 hour immersion timers please get in touch with our customer service team.